GBWhatsApp AKA Whatsapp GB: Bored with your generic looking WhatsApp and want some more granular control over it? Then you have come to the right place as today; we’ll talk about an unusual variant of Whatsapp which does more for you and gives you a whole host of features which you always desire to be in the stock app since day one. It’s called the GB Whatsapp for Android, and in this post, we’ll talk about why would you like to switch to it and what new features the GB WhatsApp Android APK brings to the table. Note: GBWhatsApp Download Links: If you are here to download the latest GBWhatsapp 2019 APK then click. You can also download GBWhatsapp 6.89 and 7.81 APK from below mentioned links. Also, read our in-depth guide on the Lucky Patcher app for Android. With GB WhatsApp for Android, you get a wide range of control over your last seen, its blue ticks, videos limit and much more. In simple language, you get to do much more with the GBWhatsapp for Android than you can do with the regular version. We will also recommend you to download and install the latest GB Whatsapp version file from the link given below as there are many fake versions of it available on the net as well. Here are some of the major highlights of the GBWhatsapp for Android. In GBWhatsapp (Whatsapp GB) for Android, you can hide your chats by just long pressing on that particular chat and tapping on the three dots on the top left corner and there you should select the HIDE option. Then you’ll be asked to lock it via a pattern lock to hide it. Now to again make it visible, just tap on the Whatsapp logo on the top left corner and it shall open the hidden chats list, in that to make chats visible again, just hold on the specific conversation and tap on the three dots, and select Marks as Visible, to again show it in the regular messages listings. This is a step above then just changing your wallpaper on Whatsapp, as the GB Whatsapp provides you with tons of themes to choose. It also changes various accents of the application as well as all the minor aspects of Whatsapp. Overall a customization spree for those who like to spice up the look of everything on their Android. 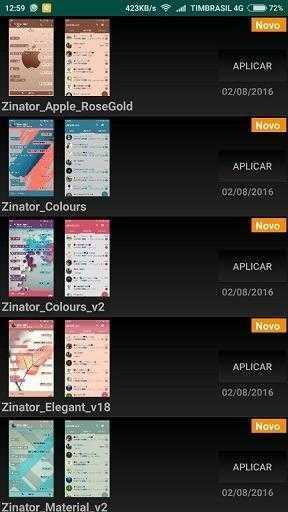 To download a Theme just hit apply and the theme will be downloaded and applied to you by GBWhatsapp APK. Go to GB Settings >Download Themes >when you hit apply, it will ask to restart your phone, just do it, so that it can apply all the new elements of the theme! Now with the latest version, you can now design your themes. In GB Whatsapp for Android Apk, you can lock any chat you want whether it is an individual contact or a group, you can lock it with a passcode, it’s a better way to do so instead of hiding the chat. Here are the instructions for that. Just select it, and you’ll be asked to enter a passcode to lock it, that’s it. Moreover, you can also change the passcode of that locked chat anytime you want. As we said earlier this modded WhatsApp allows you to customize every aspect of it and when you explore them, you’ll find various settings to change your fonts, the ticks style, notification icon, locking, hiding-notifications, stay always online to name a few there’re much more things you can choose as per your needs with GB Whatsapp. Yes, there are apps like parallel space in the Google Play Store, to do such things, but the GB WhatsApp has this feature baked into it, so you don’t require a separate app. You can use two different number and run these separate accounts smoothly with this modded Whatsapp. 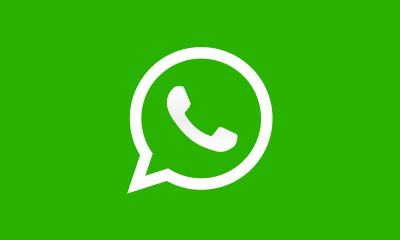 Don’t worry about your convenience; we have attached a GBWhatsApp APK direct download link. More than ten different international languages are supported, and ten languages are in their full version, so, everyone can read, use and enjoy all the features of it — no matter in which region you stay. You can change them in the settings section of the GBWhatsapp app. If you have ever wondered you’re getting messages from your contacts in a chat, but you don’t ever see the “Typing” status like you see for everyone else. That’s because they’re using GBWhatsapp, and it not only can hide your last seen and blue ticks, but it can also hide, your typing status, leaving everyone confused and wondering when did you type, quite amazing isn’t it? You can also hide the blue ticks, which means even if you have read the message the contact who sent that message to you won’t see the ticks turn blue, which indicate that the message is seen. With GBWhatsApp you can hide it, and the sender won’t know whether you have read the message or not. Yes, you read it right, you can also schedule messages with GB Whatsapp, and to do so, open the settings, by tapping on to the three vertical dots in the top left corner there, you see the options listed as Message Scheduling. Now, tap on it, and you’ll see a new screen pop-up in which you have to enter the contact to which you have to send the message, next will be the message itself. After that, you should enter the Date to schedule it, once you select the date, next you have to enter the timings, and then Save it. The message will be delivered, when the time comes as per your selection of date and time, so it a handly neat little utility which should honestly also make its way to the official app. WIth the regular WhatsApp you can send up to videos 16MB in size, but GB Whatsapp app got you covered, with it you now can send videos up to 125MB in size. But wait there’s a catch, and it won’t affect much. See, when you select any video which has a size over 50MB and a max size of 125MB, the GBWhatsapp will compress it down to 50MB, and then you’re able to send it to any contacts or in groups as well. Now, with GBWhatsapp your limit to send photos and videos, gets a bump and now you’ll be able to send up to 90 images and videos, to individual chat as well as in groups. To download this fantastic version of Whatsapp, click on the download GBWhatsApp APK link given below! Here are all of the Whatsapp features of GB Whatsapp for Android. You can send more than 30 Documents. You can make Whatsapp calls to non-contact. Several new Whatsapp Groups features. Password protected chat lock and app lock. Ability to customize the App icon. You can now transfer videos up to 50mb. Auto Reply feature is present. Selective text copying is working. Up to 600 people broadcast. 100+ languages are now finally supported. Dual mode is even better. You can send 90 images at once now. At last, I would merely like to say that if you want to get more of your daily Whatsapp usage, you should check out the GBWhatsapp APK, sadly for iPhone users, GBWhatsapp for iPhone or iOS is not yet available. The link given below is from MediaFire. It’s safe and free of all the viruses. GBWhatsapp 6.60 download, 6.65, 6.70, and 6.85 download links are available below. This update extends the validity of the app to 20/6/2019 until the new base update completed. 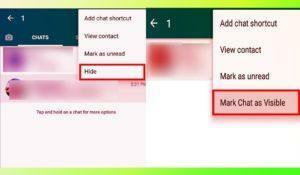 Solves the problem of closing WhatsApp when opening a new conversation. Installing GBWhatsapp Latest APK on your smartphone is a straightforward task; here are the various steps that will help you in installing the app on your smartphone. Step 2. Go to your File Manager app and open the downloaded APK. Step 3. Now you will have to go to settings and enable installation from Unknown Sources if you are installing an APK for the first time. Step 4. The app will now start installing, and once it is done, you need to verify your Whatsapp number. 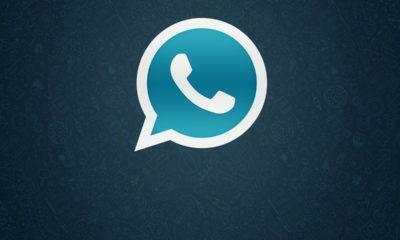 Now you will be able to use the GB Whatsapp APK easily on your smartphone. Note- It works on both rooted and non-rooted Android phones. If you encounter any problem during downloading or while installing the GbWhatsapp, please comment down below. The latest version is linked in the article, you can easily download it. All the latest versions are already linked in the article. Something is causing the app to always sleep maybe battery saver. How to Install A GBWhatsapp Apk App? Just like a normal APK.